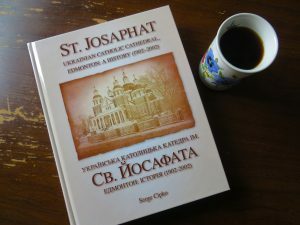 This entry was posted in St. Josaphat on March 27, 2019 by stjosaphat. 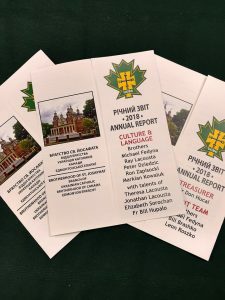 Pyrohy Dinner at St. Josaphats! Children (5 and under): Free of cost! Pyrohy, Salmon, Lazy Cabbage Rolls, Garlic Sausage, Caesar Salad, Pickles, Mushroom Gravy, Dessert, Coffee, Tea & Juice. EVERYONE IS INVITED, PLEASE BRING A FRIEND! 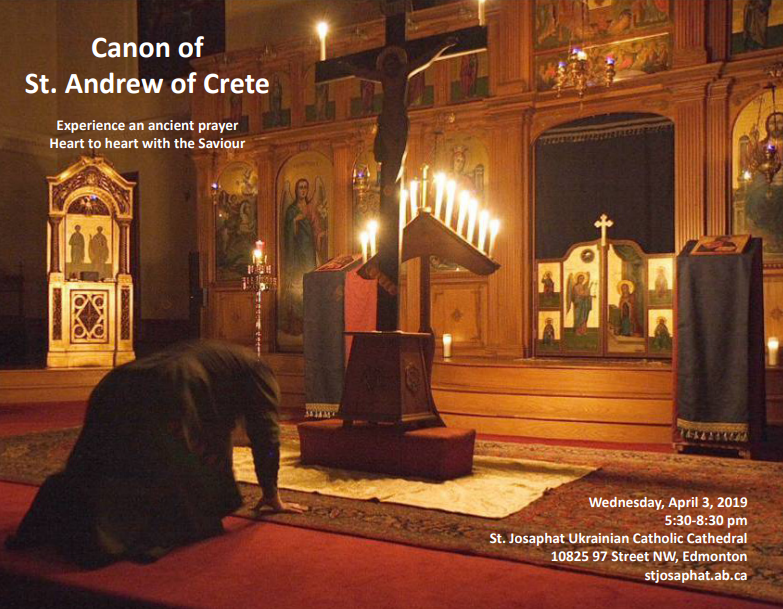 We welcome you to join us at St. Josaphat’s Cathedral! Missed the Shroud of Turin Presentations? Here’s some quick snippets from the event presented by Ed Hecker! 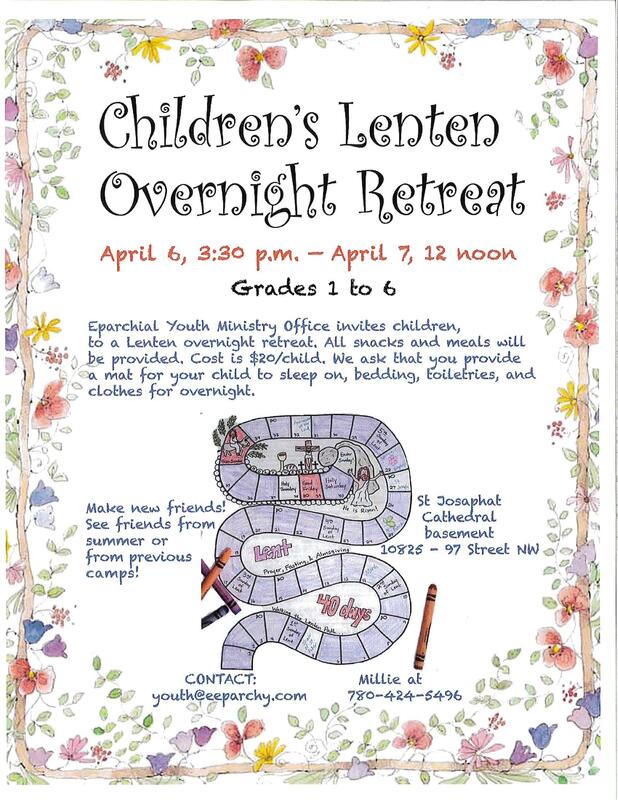 This entry was posted in St. Josaphat on March 10, 2019 by stjosaphat. The Holy and Great-Martyr Theodore the Recruit; Tone 4. This entry was posted in St. Josaphat on February 16, 2019 by stjosaphat. 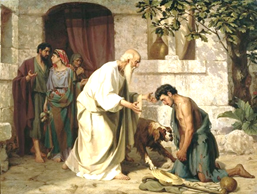 The Sunday of the Prodigal Son, or should we say, “The Sunday of the Merciful Father”? This Sunday, February 17th, is the third Sunday of our preparation for the Great Fast. Once again, we hear the story of the Prodigal Son, and the Church will present to us the important theme of REPENTANCE. The Greek word for repentance is metanoia, which means a change of mind and heart. In essence, it’s a decision to return home and to embrance the Divine Will and Love of our Heavenly Father. There are four key figures in this story. First, there’s the compassionate and merciful father, a symbol of God Himself. Not only has he given life to his sons, he has also provided them with everything that they need. Everything is a gift from him. The second important figure in the story is the younger son, who has no respect for his father and lacks any sense of gratitude. The root of his spirtual illness is pride. In his ignorance and self-centredness, there is a deep sense of entitlement. “My father owes me… I’m entitled to my inheritance. It belongs to me, and I’m free to do with it as I wish. My life is mine, to live as I see fit, and I will decide for myself what is best.” So, it’s no surprise that he quickly squanders everything that he has after he leaves home, because he has no respect or appreciation for what he has been given. Can a sieve hold water? Pride is that “spiritual sieve,” that fails to hold and preserve any of God’s graces, given to nourish and water the soul. There is a crucial turning point that takes place in the life of the prodigal son. It’s that special moment of metanoia. The Gospel tells us that “he came to himself,” in other words, “he came to his senses.” The light of truth breaks through his mind and heart. He comes to appreciate the goodness of his father. He realizes that everything belonged to his father, and that everything was freely given to him by his father in love. This is that moment of deep repentance, a radical change of mind and heart, a change in thinking, a discovery and acceptance of truth. He has been humbled. He sees the world now with new eyes. Through humility, he has become “poor of heart,” relinquishing all sense of ownership and feelings of entitlement. Everything has been a gift from his father. He will return home. He will simply serve as a slave and will be grateful for whatever is given to him. Reading the story or hearing it proclaimed, we are called to identify ourselves with the prodigal son. We are no different. We all suffer from the spiritual illness of pride, selfishness. With a sense of entitlement, we often think that “God owes us,” and we get upset and resentful when things don’t go our way. We go our way and seek to find happiness elsewhere on our own. What we find instead a sense of dis-ease, a feeling of unhappiness and discontent. Eventually, suffering becomes the teacher that brings us to our knees, and hopefully, that moment of metanoia: I will return to my Father’s house. As pride is conquered, humility leads us to “poverty of heart,” the realization that everything belongs to God, and that everything is a gift from Him. God in His goodness, has freely chosen to share everything with us. “Blessed are the poor in spirit, for theirs is the kingdom of God” (Mt 5:3). The third important figure in the story is the oldest son, who remains by his father’s side. Like his brother, he too lacks a sense of gratitude. Pride is also the root spiritual illness within his heart. He has remained by his father’s side and has listened to him, but not out of genuine love. In his self-centredness, there is deep sense of entitlement for his loyalty and service. “My father owes me… I’m entitled to my inheritance. It belongs to me; I have worked for it and I have earned it.” Like his younger brother, he has not realized the depth of his father’s goodness; he has not realized that really, everything belongs to his father, and everything is given and shared by his father in love. “All that is mine is yours” (Luke 15;31). He can’t accept the fact that his father is free to distribute his goods as he wishes and to be generous with whomever he wishes. The older son lacks faith, trust, true obedience and surrender to his father and his father’s will. And so, the older son becomes resentful when his father chooses to be merciful and generous, to forgive the younger son upon his return, and to restore him to his grace and sonship. In his mind, this was something that needed to be earned. The older son failed to see the value of important gifts: his brother was a gift, his return was a gift, repentance is a gift, forgiveness a gift, and that life itself is a precious gift. “It was fitting to make merry and be glad, for this your brother was dead, and is alive; he was lost, and is found” (Luke 15:32). In reading and hearing the story, we are also called to identify ourselves with the older son. In our service to God, we too can quickly forget that God’s love is not something to be earned — it’s freely given. Our life and service to Him should always be a free-gift offered with love and joy, without any expectations of reward, self-seeking motivations, hidden agendas, and a sense of entitlement. Like the younger son, we also need to rediscover the importance of faith: believing in what God promises; trusting in his goodness, providence and care for us; listening and submitting to His Will (even when we don’t understand); and finally, surrendering our life to Him as a total free-gift. The fourth and final figure in the story is the male calf, fattened by wheat. The father’s gift of mercy, forgiveness, atonement, reconciliation, and the offering of praise and thanksgiving is incomplete without the sacrifice of the fattened calf and the communion banquet that follows. The sacrifice is a symbol of Christ, who takes away the sins of the world, and reconciles us with the Father through his death on the cross. The calf was fed by wheat, which points to the fact that Christ, the chosen Lamb of God, will become for us the Bread of Life in the Mystery of the Holy Eucharist. The final lesson of the story is that God has loved us first. Everything is gift. He offers us forgiveness and eternal life with Him. Nothing can be earned, but only received with faith, humility, repentance, surrender and love. 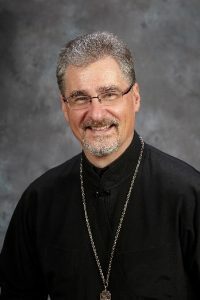 This entry was posted in St. Josaphat on February 15, 2019 by stjosaphat. Click the photo to re-direct you to our Facebook page! 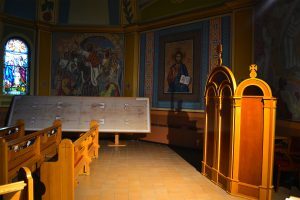 St. Josaphat’s Cathedral is active on Twitter and Facebook! 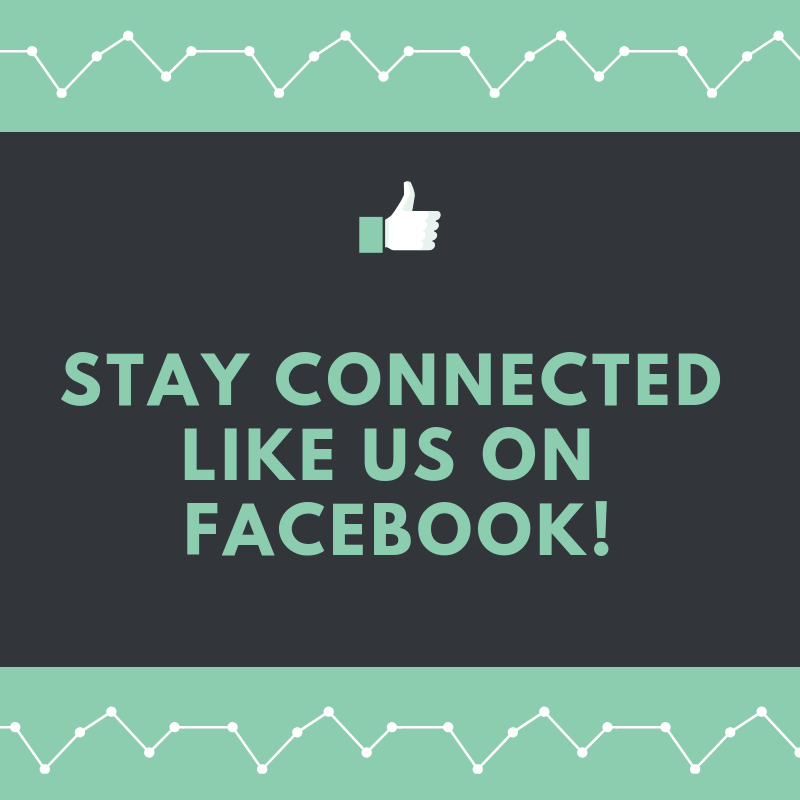 Make sure to ‘Like’ us on Facebook at https://www.facebook.com/St.Josaphat.UCC/ and ‘Follow’ us on Twitter at https://twitter.com/St_Josaphat to connect with the parish community! 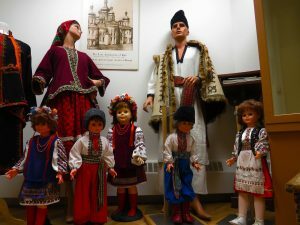 This entry was posted in St. Josaphat on February 5, 2019 by stjosaphat. This entry was posted in Announcements, News on February 2, 2019 by stjosaphat. Thirtieth Sunday After Pentecost; Our Venerable and God-bearing Father Euthemius the Great (473), Tone 2.